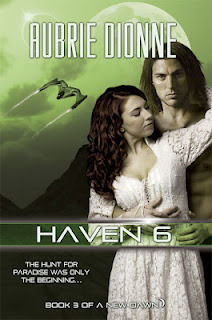 A product of an illegal pairing, Eridani is the only woman without a lifemate aboard the colonization ship, the Heritage, and she is determined her less than perfect DNA will not get in the way of finding love. As the ship nears it’s final destination of Haven 6 after five hundred years of travel, images of the surface show evidence of intelligent life on a planet that’s supposed to be uninhabited. Commander Grier assigns Eri to the exploratory team to spy on the alien society and return with information on how to defeat them. When Eri’s team lands, tribes of humans attack and Eri is saved by Striver, the descendant of a colonist and a pirate from Old Earth’s colonization efforts in other parts of the galaxy. Striver helps Eri rescue her team and they are drawn to each other despite their different allegiances. While Striver battles with trusting Eri, Eri must decide whether to warn him and his people about the commander’s intentions, or follow orders and complete her mission. How I feel at the end of my series. 1. Joy – I’m so excited it’s done and I have three beautiful books to hold in my hands. 2. Disbelief- I can’t believe I did it. I finished something completely and whole heartedly. 3. Relief- Thank goodness it’s done! When I first set out, I wasn’t sure I could do something like this. The whole thing was a giant bluff. But, I kept to my word goals, met my deadlines and turned everything in on time. 4. Melancholy- I can’t believe it’s over! I love the world I’ve created so much I don’t want to leave it. I can think of more ideas, more stories to write! 5. Excitement- I want to start something new. Maybe go back to fantasy, or try my hand at contemporary romance. I’ve had enough of this space opera stuff for a while. At least. 6. Anticipation-What will the world think? Which book will be their favorite? Will they see how the storylines converge? Did I tie it in enough? Will I write another space opera series? Maybe someday. Not this year. Will I ever try to write something else on such a large scale again? You bet! Did I grow as a writer from this process. Most definitely. I suggest every writer out there try their hand at a series at least once! Aubrie wrote in her junior high yearbook that she wanted to be “A concert flutist” when she grew up. When she made that happen, she decided one career was not enough and embarked as a fantasy, sci fi author. Two careers seem to keep her busy. For now. Her writings have appeared in Mindflights, Niteblade, Silver Blade, Emerald Tales, Hazard Cat, Moon Drenched Fables, A Fly in Amber, and Aurora Wolf. Her books are published by Entangled Publishing, Lyrical Press, and Gypsy Shadow Publishing. She recently signed her YA sci fi novel with Inkspell Publishing titled: Colonization: Paradise Reclaimed, which will release in October 2012. Thanks for the post and giveaway!